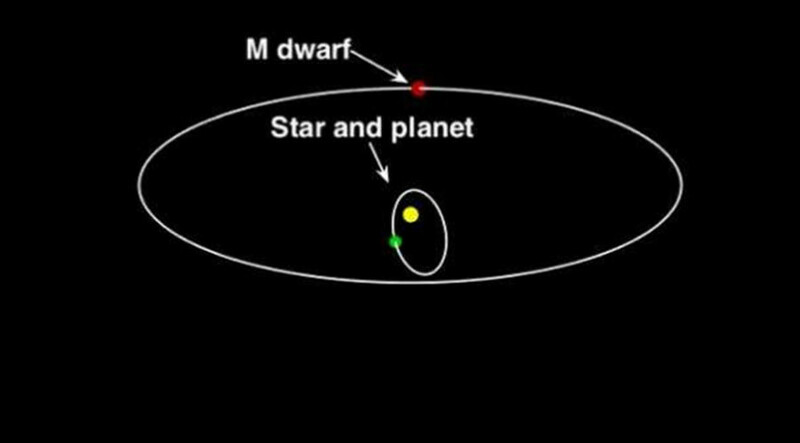 A huge planet is having quite the party in space, dancing between its cosmic companions rather eccentrically – all thanks to a tiny dwarf star which influences its bizarre movements. The new finding makes for a rather peculiar planetary system. Measuring about eight times the mass of Jupiter, the enormous planet was discovered in 2011. At the time of its discovery, it was found to be orbiting a sun-like star called HD 4779 with high eccentricity. That is, its movements were far from perfectly circular - the further from a circle the trajectory is, the more eccentric it is. 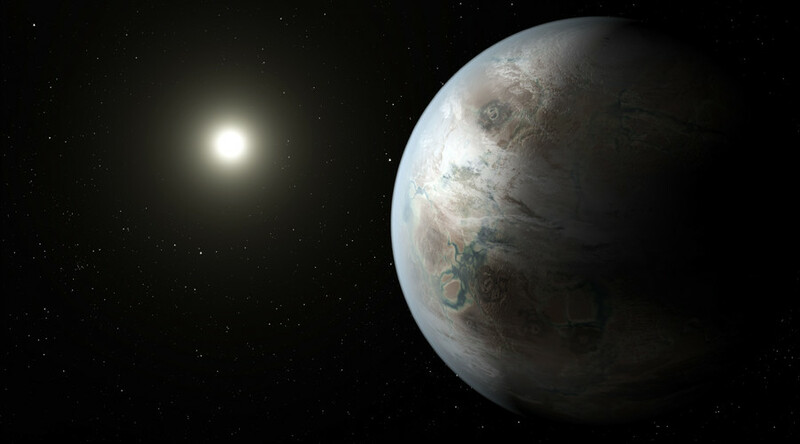 But the eccentric orbit led a team made up almost entirely of current and former Carnegie scientists to speculate that something else may be influencing the monster planet's movements. They tested that theory with the Magellan adaptive optics (MagAO) instrument suite, which allowed them to take extremely high-resolution images and gave them a sharper look at the night sky than ever before. Their speculation was then confirmed. "At the telescope, we saw the object within seconds, and that told us it had to be a dwarf star," said lead author Timothy Rodigas in a press release. The dwarf star was tiny, measuring at only 20 percent of the mass of our sun. The authors believe the dwarf star and the planet have been gravitationally influencing each other for millions of years. Specifically, the gas giant's eccentricity and orbital inclination – its angle relative to the equatorial plane of the primary star – have been oscillating back and forth in a process known as Kozai oscillations, and will continue to do so for the foreseeable future. The planetary system is significant, as it is one of only a handful consisting of a sun-like star and a dwarf-star, with a gas giant in between – all within a distance of 20 AU. The team will continue to monitor the planetary system over the coming years, using both the radial velocity technique – which measures how stars wobble when planets orbit them – and direct imaging. They hope to determine how such a peculiar system could have formed. The researchers' findings were published in the Astrophysical Journal on Wednesday.